Jaeger has been championing great British style since 1884 when it first launched. Using only the finest fibers, including camel hair, alpaca and merino wool, Jaeger is just as much about quality as it is about looking good. 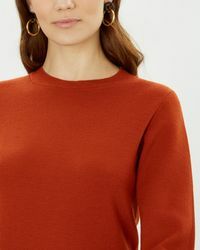 Creating iconic shapes that can be worn any time, any season and for many years to come, this high-end high street label will not disappoint even the most hard to please. 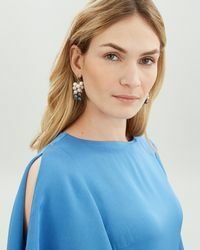 Cary Grant and Marilyn Monroe are just two of the brand's past fans, while the likes of Jodie Kidd and Kate Moss are often spotted in Jaeger today. 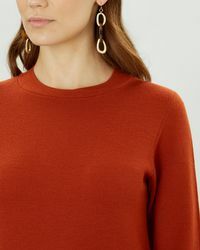 Shop this collection of women's Jaeger earrings for a chic, sophisticated and wearable selection of styles.